No passports and we fly today!! Forget a wave of relief, the morning of the day we left for Morocco with Lyn and Alan it was more like a tsunami. We sent our passports to the Syrian embassy in Paris four weeks before then. The embassy states that it takes ten days to get a visa. We rang the NZ embassy in Paris to see if they could help. "We know all about the Syrian Embassy" they started. "We couldn't even get a visa for the Ambassador a few months back." They said they didn't normally meddle in visa applications, but would make a phone call for us in this case. They spoke to 'the nice lady' at the Syrian embassy and rang us back. 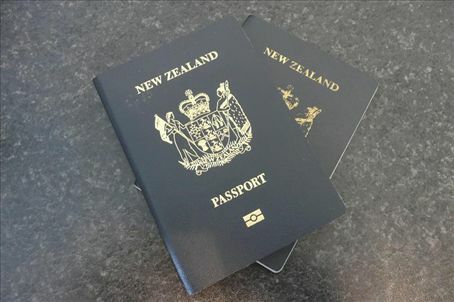 The NZ embassy told us that they established that our passports would be back sometime later this week. When we pressed her for details she got all snippy with us. Not encouraging. We rang back the Syrian embassy. More pass the phone call around the office until we got 'the nice lady'. She looked for and couldn't find our passports. "It looks like they have not arrived yet" she said. "Call back tomorrow at 2pm". Not arrived yet! We know you have them cause you called us to ask for more cash! Argh!!! Time to fight fire with fire. Catherine explained our predicament to Anne Sophie, the mother of the family that she babysits for on Wednesdays. The French love a good argument and Anne Sophie kept battling away for several hours through phone call after phone call. Breaking point almost came when we got 'the psycho' on call number nine and after a heated exchange we were hung up on. Call ten. Salvation. We got 'the nice lady'. "You have your Syrian visas and I have your passports in my hand" she told us. "Can you guarantee that they will be in today's post?" we asked. Normally 'the psycho' deals with all the post, but she assured us that she would personally see to it that they were picked up. Anne Sophie rang the embassy back later in the day to try and confirm that all had gone to plan. There was no answer. In France, overnight courier packages are only actually 'overnight' 80% of the time. We weren't in the clear even if everything had gone to plan. Catherine hardly slept. From 7.30 in the morning we took it in shifts camping by the front door to the apartment building, waiting to intercept anyone who even faintly resembled a courier. Just after ten, they arrived. After preparing ourselves for the worst and all that had happened, it was almost surreal. We couldn't believe it. We were actually off to Morocco!!!!!!!! hello dear sir how are you ...?? i hop you are fine and good by the way how can i fly with out paspot ....???? ?